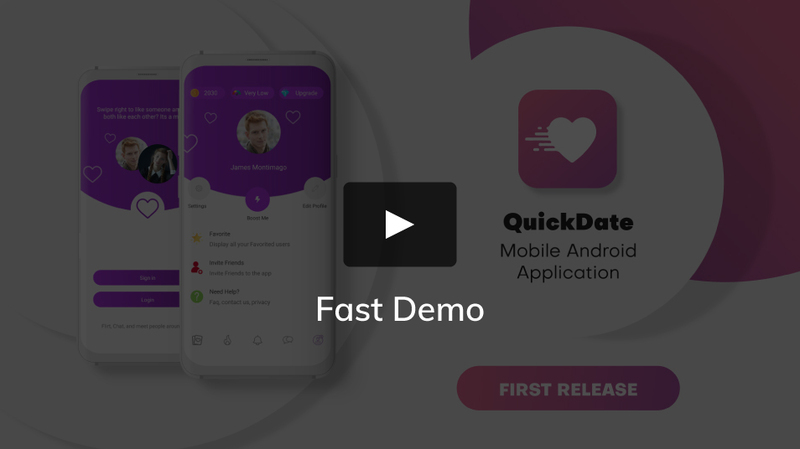 QuickDate is a social application for QuickDate Dating social network, withQuickDate users can Match & Interact with users profiles and like and find near by and more, Now using the application is easier, and more fun ! QuickDate app is easy, secured, and it will be regularly updated. ِLike: User can like users in find match page..
Share and upload images and more. Explore New Users and Friends and nearby. Control Your Privacy and Settings. Pro System: User can get top features by subscribing to one of the script pro packages. .
Credit System: User should purchase credit to use it on messages, gifts, likes. etc.